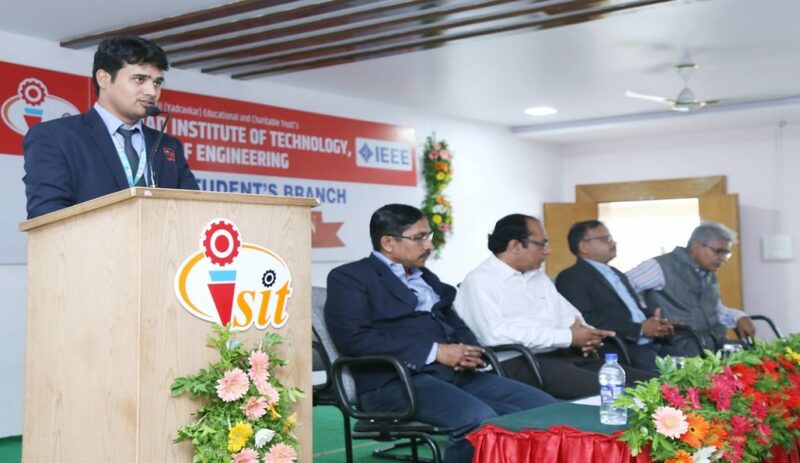 On auspicious day of 9th July 2018 we at SITCOE inaugurated a “IEEE student Branch” for the first time in western Maharashtra. The formal inauguration was carried by ‘Saraswati Poojan’ by all the dignitaries present. 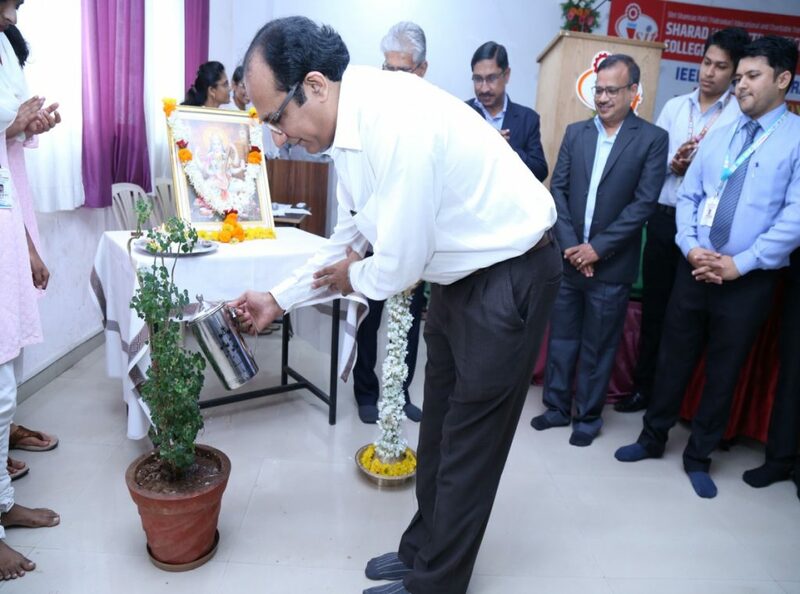 The inauguration was followed by “Watering the Plant” to represent symbolically the commitment to save trees. 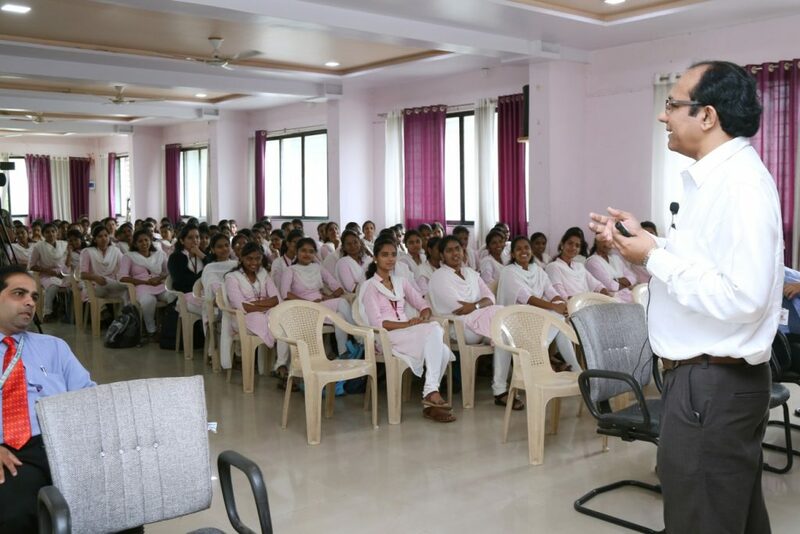 Introduction the chief guest Dr.Satyanarayana Bheesette and the guest of honor Dr.Vinit Kotak was done by Mr. P R Patil coordinator of the program. 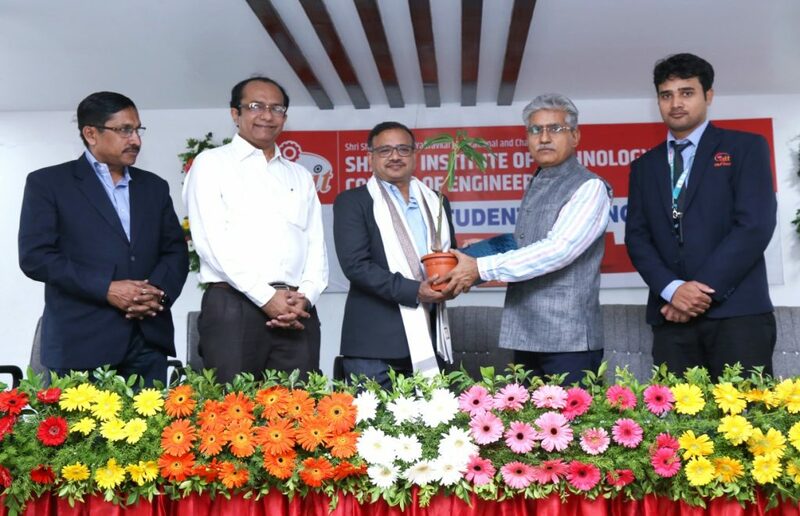 Felicitation of the chief guest Dr.Satyanarayana Bheesette was carried by the honorable Principal of SITCOE, Dr. S A Khot. 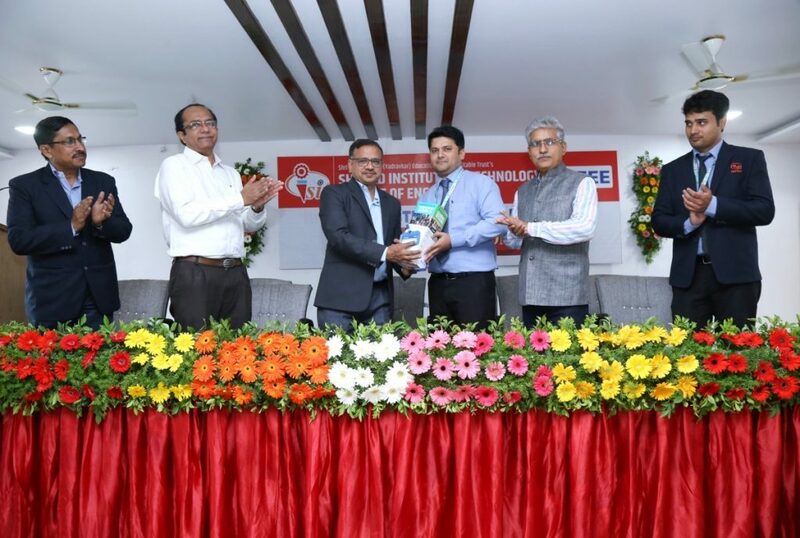 Felicitation of the guest of honor Dr.Vinit Kotak was carried by the honorable Principal of SITCOE, Dr. S A Khot. Senior Member, IEEE U.S.A., Senior Member, IEEE Computer Society U.S.A., Senior, Member IEEE Communication Society, U.S.A., Member ACM, U.S.A., Life Member ISTE India, Fellow IETE India, Member Internet Society (ISOC), Life Member, The Indian Science Congress Association. After the introduction of guest IEEE kit distributed to the members of the IEEE including brochures & informative kits for members. The program continues with remarks from the principal Dr. S. A. Khot, delivering information on industry 4.0 & its revolutions. This mainly includes the how the industrial revolution changed with growing industry. After the great talk by principal an inaugural speech is given by chief guest introducing the remarkable work of IEEE members. Ending with first session the next part of the function started. 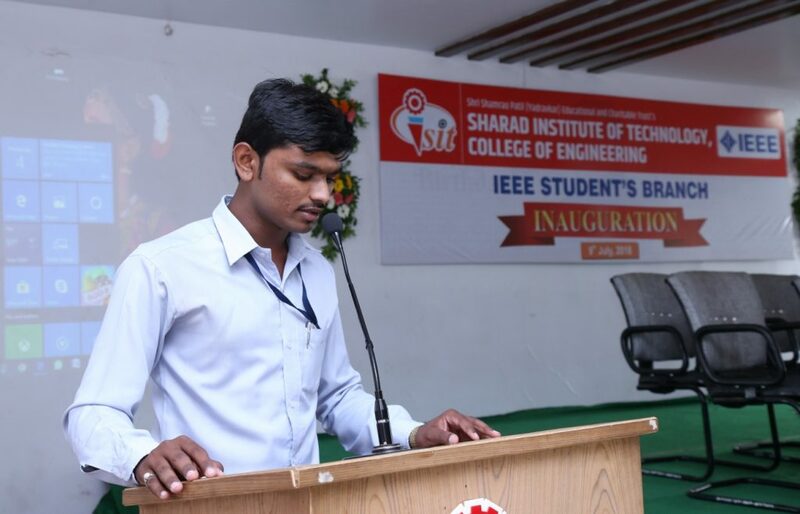 The inaugural function ended with the vote of thanks by Mr. Prathemesh Mule, Secretary IEEE student branch. 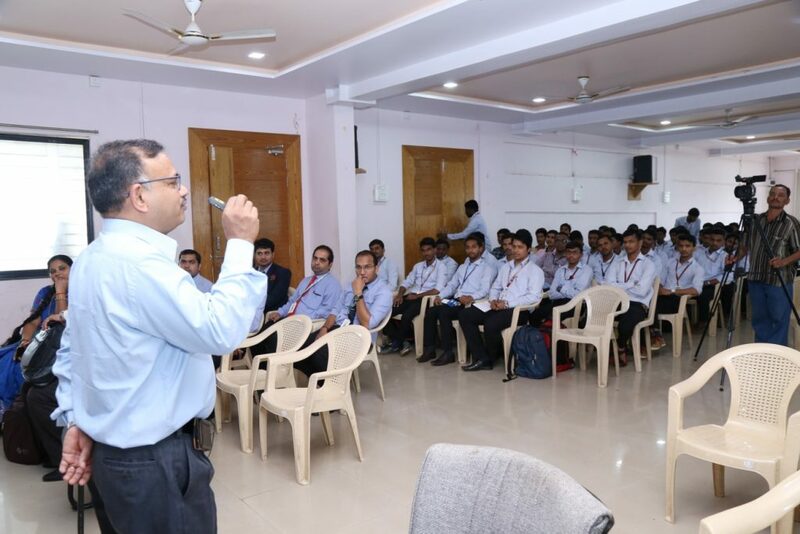 The second part of the program was started with the technical talk by the guest of honor Dr.Vinit Kotak on “Benefits of IEEE membership” & terms related to IEEE. Following points were discussed by the Dr.Vinit Kotak. Read the latest news from IEEE, IEEE Spectrum, IEEE Standards News and The Institute. 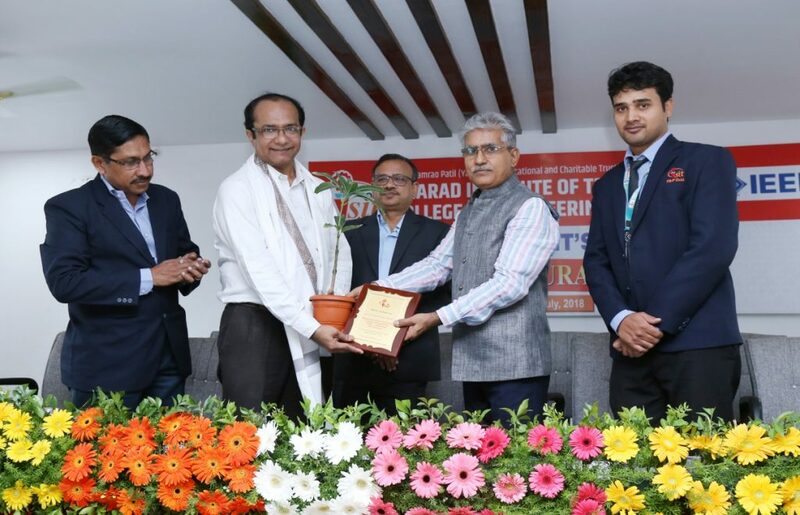 Then chief guest Dr.Satyanarayana Bheesette started his talk on “Importance of research at undergraduate level”. The terms which are required for research at undergraduate level were introduced by the guest. Academics relate to the work done in the school, colleges & universities especially work which involves studying & reasoning rather than practical or technical skills. Research is work that involves setting up experiments and/or systematically studying something and trying discover new facts about it. Industry is the work & processes involved in collecting raw materials & making them into products in factories, or consultancy & services. Undergraduate research does a world of good to the students, the faculty and to the institution. Proactive role by institute management is crucial for this important activity. Research areas and topics should be carefully chosen taking into account interest of all stack holders. Quality of research work and papers must be strictly monitored. Institute must setup a research advisory committee to ensure these goals. 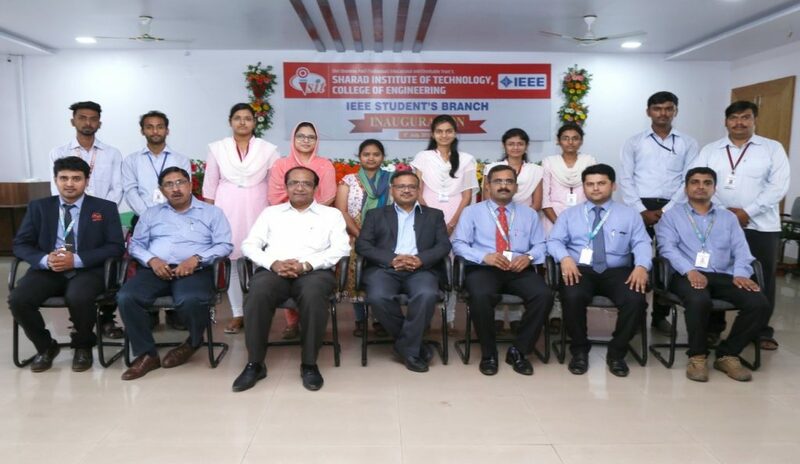 Active professional membership unit-like IEEE, will act as a fertile ground as well as serve as a catalyst for the research ambience on campus. The program was ended by giving vote of thanks by Mr. Prathemesh M. Mule.